The box is happy, festive. This is closer to the clowns when I was a kid, before Stephen King ruined them forever. Three generous bags of elements and a sticker sheet. 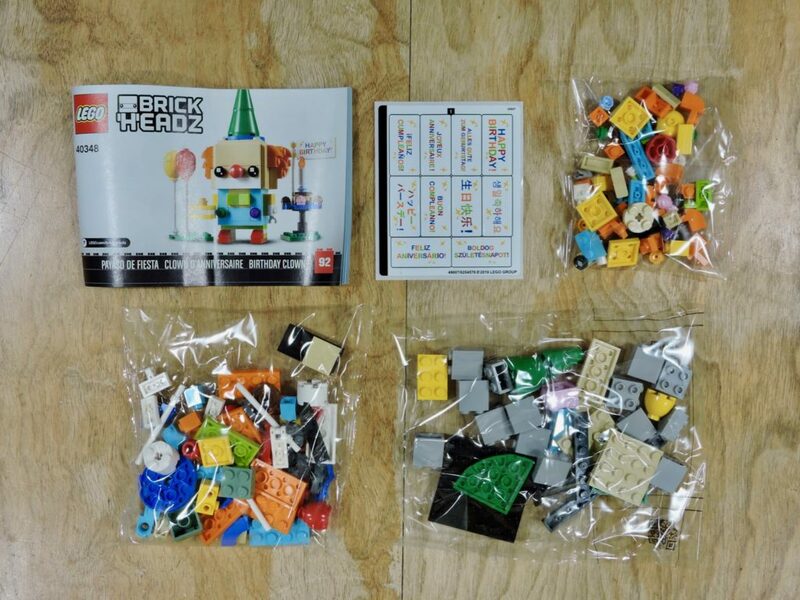 I think this is only the second BrickHeadz® set to have stickers. I really like all the super colorful elements inside. I can already see myself buying more of these for the parts. Looking closer at the sticker sheet, it’s easy to see why it was included. 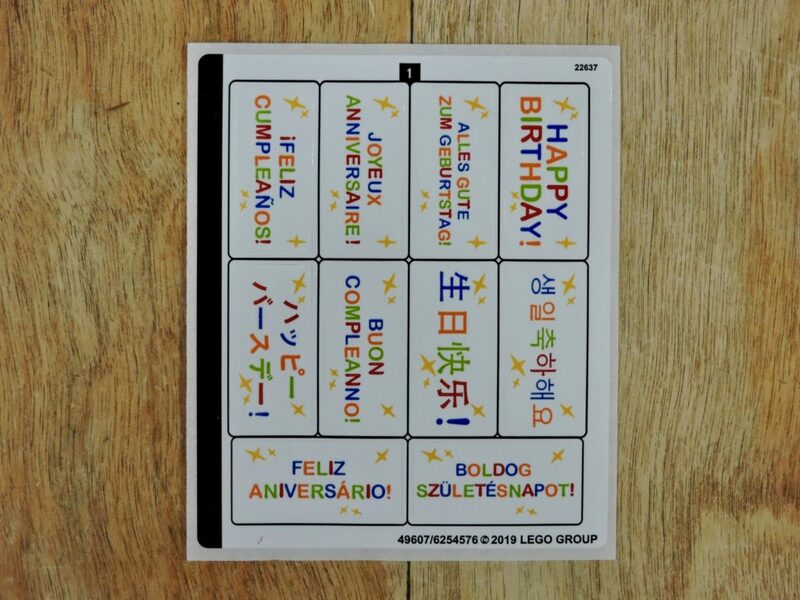 ‘Happy Birthday’ in ten different languages should cover most of their markets. I can ‘t see these stickers being too useful for AFOLs, but I’m sure that someone will surprise me. A few interesting and rare elements in the set. I really like these new candle elements, so I’m happy to see some in this set, especially the extra flame. 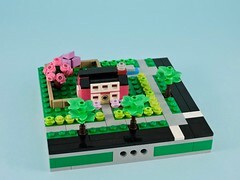 The 1×1 technic bricks are uncommon in that medium azur, as are the dark green cones and bright blue macaroni tiles. 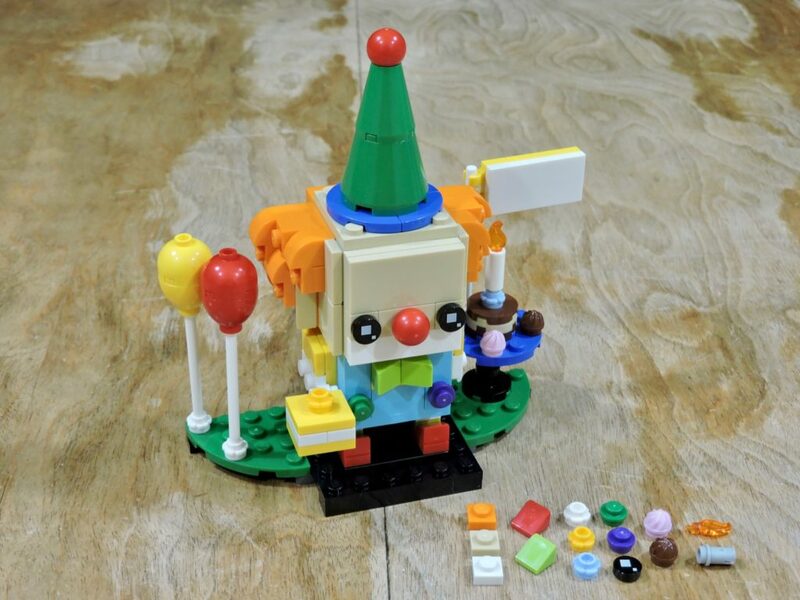 The clown himself is a fun build. There are some mild variation on the BrickHeadz template, primarily in the snot bricks that form the head, though the left hand is repositioned as well. I accidentally put the cheese slopes backwards for the toes of his oversized shoes, but I kind of like it anyway. Honestly, my favorite bit is the hat. The macaroni tiles facilitate a half-stud offset, so the 3×3 cone perches in the center of his 4×4 head. The gnome-like hat is just so whimsical and over-the-top, that I love it. 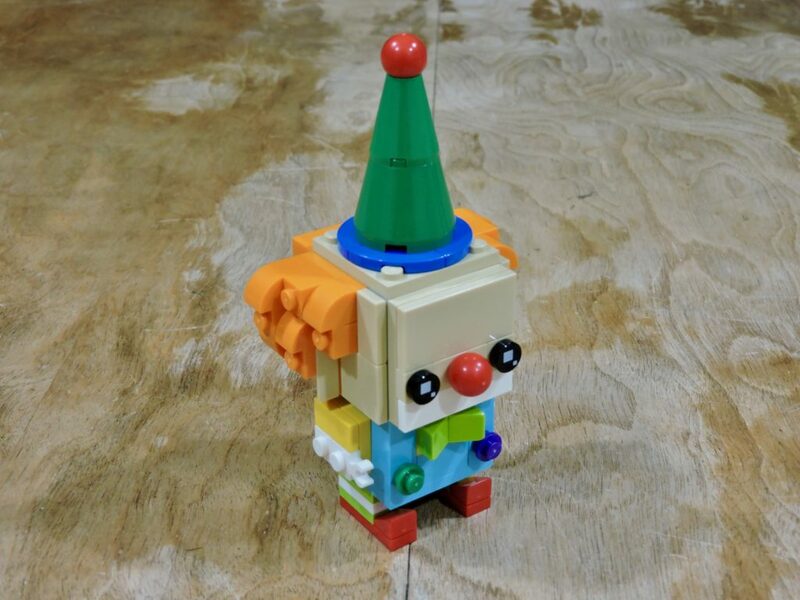 Like all of the seasonal BrickHeadz, our clown comes with an extended base. 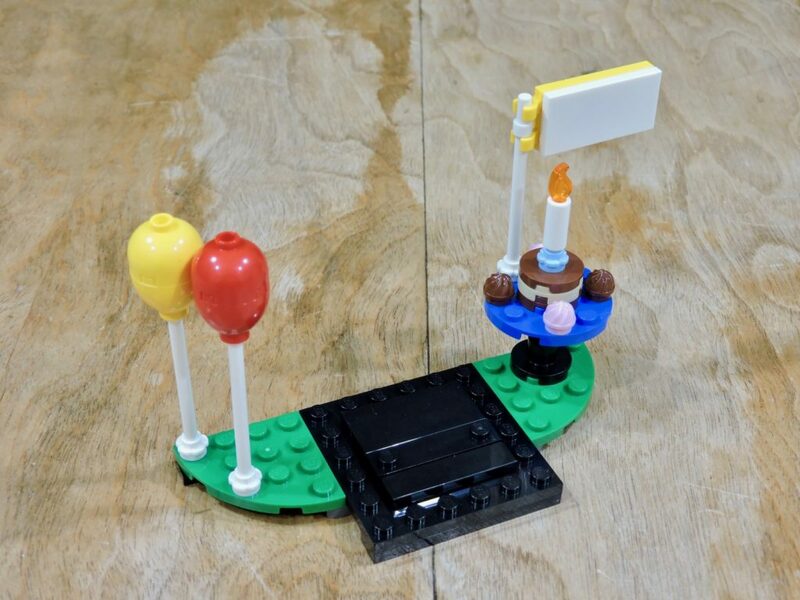 The addition of balloons and a cake are perfect complements. The stickers are intended to go on the banner, proclaiming ‘happy birthday,’ and really finish off the scene. The finished build is really sweet. 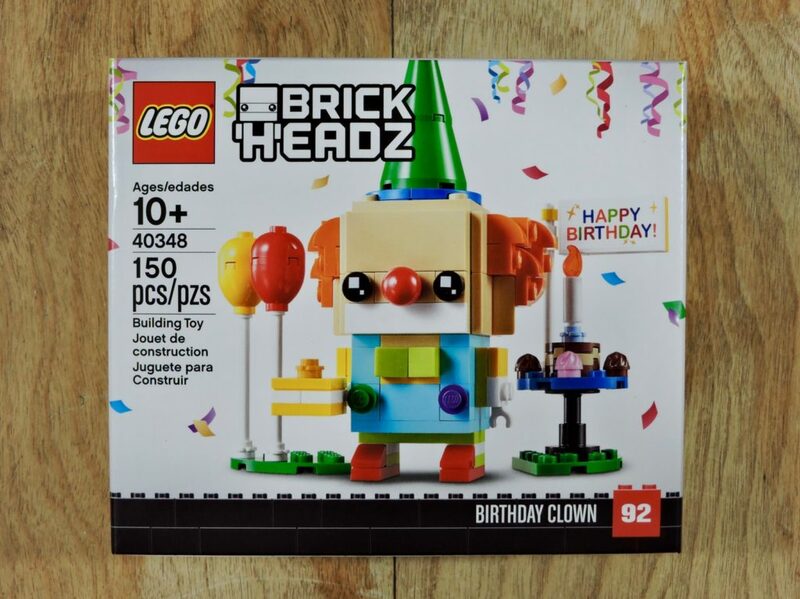 I can’t help but like the cheery little clown and I’m sure he’d make a nice little birthday gift. As a set, he was a fun build. 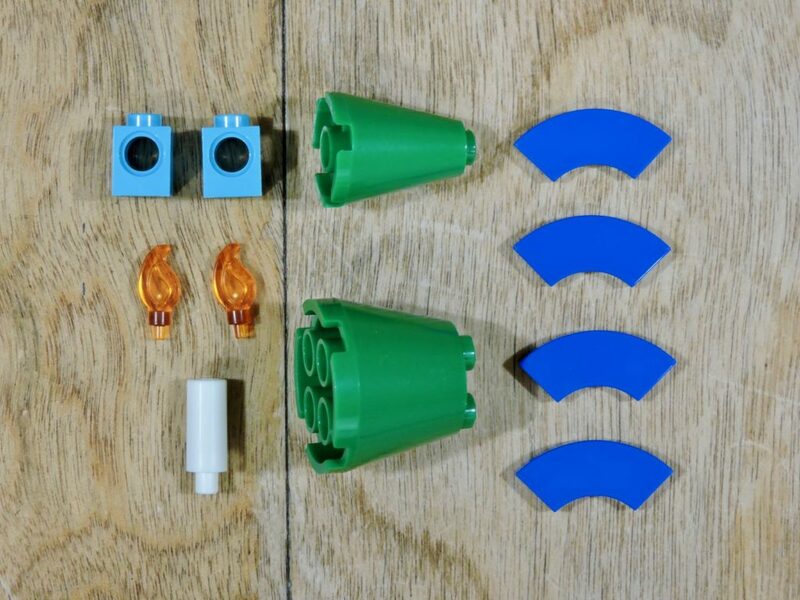 The price per piece was under 7¢ and look at all those extra parts! 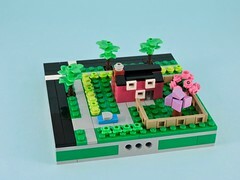 This is a great little set. I don’t know how the availability will be for this set, so do yourself a favor and grab one when you can.